1. Which part of England is called the cradle of cricket? Answer: Broad Half-penny Down where Hambledon Club played. 2. When were the first widely accepted laws of cricket brought out? 3. Which measurement in cricket has remained unchanged since 1744? Answer: Length of the pitch, 22 yards. 4. Till 1889 how many balls an over used to be bowled? 5. In which country was an eight-ball over in vogue till lately? 6. What was the colour of the ball used in the earlier days of women’s cricket in England? 7. In which English county and when was a white ball used for play during the day? 8. When was overarm bowling accepted as legal? 9. Who was the first bowler to bowl overarm? Answer: They are the ashes of the bails burnt and kept in a small bag and an urn. The term came into being in 1882 when Australia beat England on the latter’s home ground and an ‘obituary’in the Sporting Times mourned the defeat mentioning that the body will be cremated and Ashes taken to Australia. When England beat Australia 2-1 in Australia, a group of women presented the ‘Ashes’ to England’s captain Hon Iva Bhgh. They were, till lately believed to be the Ashes of a bail, now there is doubt. Some consider them to be the ashes of a ball. 11. Do the ‘Ashes’ really exist? If so, where? Answer: Yes, At the Cricket Memorial Gallery at Lords, London. 12. What is a hat-trick? Answer: A bowler taking 3 wickets off 3 consecutive balls. 13. Why is such a feat so called? Answer: Because of the earlier days’ custom of presenting the bowler with a hat. 14. When was this first done? 15. When and where was the first Test played? 16. What is the earliest available record of cricket having been played in India? Answer: 1721 at Cambay, Western India. 17. Which is the oldest cricket club in the world? Answer: M.C.C. (Marylebone Cricket Club), London. 18. And the second oldest? 19. Who was the first to have scored a century on Indian soil? Answer: Robert Vansittart in Calcutta for Old Etonians vs. Rest of Calcutta. 20. Which was the first purely Indian cricket club formed in India? Answer: Orient Club, Bombay, in 1848 by the Parsis. 21. Which well-known cricket club was financed by the Tatas and the Wadias? 22. When and where was the first Hindu cricket club formed? Answer: Bombay, 1866. Union Cricket Club. 23. And when did the Muslims form their first club? Answer: Mohammedans Cricket Club, 1883. 24. Which Indian team was the first to tour abroad? Answer: Parsis; to England in 1886. 25. Which was the first team to tour India? Answer: G.F. Vernon’s team from England, 1889-90. 26. Which Indian team defeated the first three touring teams from England? 27. Which was the first representative (not belonging to any one community) Indian team to tour England? Answer: Maharaja of Patiala’s 1911 Indian team. 28. When was the Board of Control for Cricket in India set up? 29. When was the National Cricket Championship for the Ranji Trophy started? 30. What were the Presidency matches? Answer: Played between the Presidency (Europeans) against the Parsis from 1892 onwards. Hindus joined as the third team in 1907, Muslims as the fourth in 1912 and ‘the Rest’ in 1937. 31. What were the Pentangulars? Answer: From 1937 to 1944, the erstwhile Presidency matches were called Pentangulars. 32. Which team lost by an innings despite one of its batsmen scoring a triple century in the Pentangulars? Answer: The Rest, beaten by The Hindus in 1943. 33. Harold Larwood played in the Quadrangulars. True or false? 34. When did India become a member of ICC? Answer: 1926 (before the formation of BCCI). 35. When did MCC first tour India? 36. When did India play its first Test match and where? 37. Who captained India in this Test? 38. Who were the captain and the vice-captain of India on this tour? Answer: The Maharaja of Porbandar and the Prince of Limbdi. 39. Who donated the ‘Ranji Trophy’? Answer: The Maharaja of Patiala. 40. What was the cost of this trophy? 41. When and where was the first Ranji Trophy match played? Answer: In Madras on 4 November, 1934. 42. Which were the two teams and who won? Answer: Madras vs. Mysore; Madras won. 43. Who bowled the first ball and to whom? Answer: M.J. Gopalan to N. Curtis. 44. How many teams took part in the championship in the inaugural year? 45. When and where was the first Test played on Indian soil? Answer: 1933-34, in Bombay against England. 46. 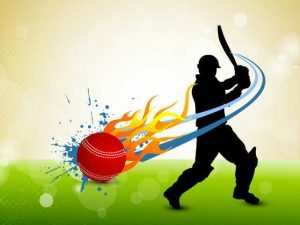 In cricket history when was the term ‘Test Match’ first used? Answer: In 1884 in Melbourne, Australia, by an Australian newspaper, Melbourne Argus. 47. Who wrote’The History of Cricket? 48. When was the Imperial Cricket Conference formed? 49. When did India become its member? 50. What is this body now called? 51. Does any member country of ICC have a ‘veto’ right? Answer: Yes, England and Australia. 52. How many countries (Test playing) are members of ICC? Name them. Answer: 7; England, Australia, West Indies, India, New Zealand, Pakistan, and Sri Lanka. 53. Which is the latest country to become an associate member of ICC? 54. Which country was expelled as a member of ICC? 55. When and where did the ‘official’ one-day cricket championship begin? Answer: The Gillette Cup, 1963, in England. 56. Why did limited-overs cricket start? Answer: To attract the paying public in England. As a result of falling gate money the English counties were going bankrupt. 57. The first officially recognized One-Day International was held at the same venue where the first Test was played. When and where? Answer: Melbourne, 5 January, 1971. 58. Name the two teams. Who won? Answer: England vs. Australia. Australia won by 5 wickets. 59. Who was the Man of the Match in the first One-Day International? Answer: John Edrich of England. 60. Who was the first one to score a Test century? Answer: Charles Bannerman of Australia in the very first Test at Melbourne. 61. Who made the first century in a One-Day International? Answer: Denis Amiss of England in the second One-Day International ever (1972). 62. Which country has played most One-Day Internationals? 63. For which trophy was the first series of One-Day Internationals played? When was it? 64. For which trophy do visiting teams play the one-day series in England these days? Answer: The Charminar Challenge Trophy. 66. When and where was a One-Day International first played under floodlights? Answer: Sydney, 27 November, 1979. 67. Has an ‘official’ One-Day International been played under floodlights in India? Where? Answer: Yes, Jawaharlal Nehru Stadium, New Delhi, 1984-85. 68. Which was the first One-Day International to be aborted due to rain? Answer: England vs. New Zealand; Manchester, 1973. 69. Are One-Day Internationals regarded as ‘official’ by ICC just as Test matches are regarded as ‘first class cricket’? 70. When and where did India play her first One-Day International? 71. Name the cities where Test cricket has been played on more than one ground? Answer: Bombay, Brisbane, Durban, Johannesburg, Lahore, Madras, London, Colombo. 72. Name the grounds in Bombay and Madras where Test cricket has been played? Answer: Bombay: Gyrekhana, Brabourne Stadium, and Wankhede Stadium; Madras: Corporation (Nehru) Stadium and Chidambaram Stadium, Chepauk. 73. Which are the other cities (besides Bombay) where Test cricket has been played three grounds? Answer: (1) Johannesburg: Wanderers, Old Wanderers, and Ellis Park; (2) Colombo : Sinhalese Sports Club, Colombo Cricket Club, and Sarvanamuthu Oval. 74. Name the Test centre in India where only one Test was played more than 30 years ago? 75. On which ground and against whom was the Test played in Lucknow in 1952? 76. Name the ground in England where only one Test has been played? 77. How many cities have staged Test matches in India? Name them. Answer: 13; Bombay, Calcutta, Madras, Hyderabad, New Delhi, Kanpur, Lucknow, Nagpur, Cuttack, Jaipur, Jalandhar, Bangalore, Ahmedabad. 78. Two cities of the same name in two different countries have staged Tests. Name them. Answer: Hyderabad; in India and Pakistan. 79. Which Test ground was the first to have light towers built for day-night cricket? 80. Which is the other Test ground where facilities for day-night cricket exist? 81. What is the seating capacity of the M.C.G.? 82. Which important world sporting event was held here? 83. There’s a Lord’s in London. Is there another Lord’s where Test cricket has been played? 84. The ‘Ashes’ are kept in a museum within the premises of a Test ground. Which? 85. On which ground are the Grace Gates situated? 86. And where is the Warner Stand? 87. In which ground are the Polly Umrigar and the Sunil Gavaskar stands situated? 88. Which cricket pavilion has been named after Bishen Singh Bedi? 89. When and where was the first Test played on Indian soil? 90. Which was the first match played at the Brabourne Stadium? Answer: Lord Tennyson’s XI vs C.C.I. ; 1937-38. 91. When and against whom did India first play in Delhi? 92. When was Hyderabad included as a Test centre? Answer: In 1955; India played New Zealand. 93. Two non-Test playing nations have these grounds where cricket has been played; (a) Woodley Park and (b) Churchill Park. Name the cities and countries. Answer: (a) Los Angeles, USA, and (b) Lautoka, Fiji. 94. Name the five Test centres of New Zealand. Answer: Wellington, Christchurch, Auckland, Dunedin, Napier. 95. Which are the five Test centres in the West Indies? Answer: Bridgetown (Barbados); Georgetown (Guyana); Kingston (Jamaica); Port of Spain (Trinidad); and St. John’s (Antigua). 96. How many Test grounds in all have staged Test matches? 97. Where was the last, the sixty-first? Answer: Sawai Man Singh Stadium, Jaipur (February 1987). 98. Where is ‘The Hill’ situated? 99. And what is ‘The Gabba’? Answer: (a) Trent Bridge, (b) Carisbrook, (c) Bourda, (d) Basin Reserve.